We asked, and you answered! Below you will find a Q&A with Dr. David Knopman in our Alzheimer’s Association International Conference (AAIC) feature “Ask the Expert.” We asked you to share what you would ask a researcher if you had a chance, and you asked important probing questions regarding Alzheimer’s symptoms, diagnosis, treatments and advancements. Read all of the questions and answers below. Is a brain autopsy still the only way to definitively diagnose Alzheimer’s disease? That’s a great question, one that I’m asked almost every day. It’s not true now. One of the great advances that have been made over the last 10 years in Alzheimer’s research is the availability and use of imaging – brain scans, spinal fluid analysis – so that we can now, at least on a research basis, diagnose Alzheimer’s disease in life. From a practical point of view, that may not apply to a patient being seen in a clinic, but these results that have been accomplished in real-time have informed us about how good – or not so good – our diagnoses are when they are just based on a history from a family informant and the examination of the patient. In fact, a clinical examination based on the patient history and the exam is pretty good for diagnosing Alzheimer’s disease and dementia. It’s not perfect, however, and on the research level, we aspire to achieve a much higher level of perfection. I want to emphasize that while understanding the cause of the cognitive impairment/dementia isn’t necessarily 100% accurate, diagnosing Mild Cognitive Impairment (MCI) or dementia can be extremely accurate. What are some of the biggest advancements in our understanding of Alzheimer’s in the past couple of years? Are we getting close to a cure? Prior to 10 years ago, most of the work that was done in understanding the biology of Alzheimer’s disease required people to have died so that we could examine their brains under a microscope. With the advent of advanced imaging techniques such as positron emission tomography (PET) scans, making better use of MRI scans, and using spinal fluid analyses, we are now able to plot out the course of the disease in living people before they have symptoms, as they’re developing symptoms and once their symptoms become more advanced. This has been an important piece of progress because now we can look at patients and understand what is going on in their brains in real-time. While this hasn’t led to a cure in 2015, it has certainly advanced the game tremendously. In virtually all of the clinical trials being done with anti-amyloid therapies, amyloid imaging with PET scanning is a requirement to ensure that we know that we are treating people with the biology of Alzheimer’s disease. This requirement only came about because of the advances we’ve made in the past couple of years. How much does genetic testing tell us? If other family members have Alzheimer’s, what are my chances of getting it? There are three genes in which mutations are known to cause Alzheimer’s disease with a very high likelihood, but it’s important to recognize that the number of families that have a mutation in one of these three genes is extremely rare – only about 500 families globally. On the other hand, there are genes such as APOE – the best known and most important – which are actually very common in the general population but have a much lower likelihood of causing Alzheimer’s if someone happens to have the “bad” variant. 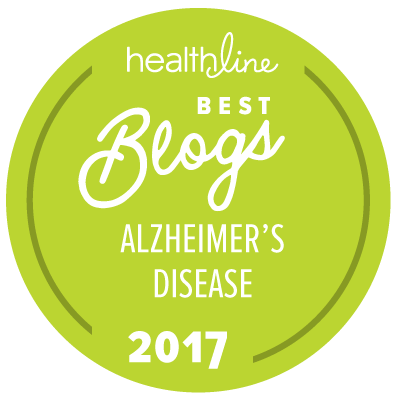 If you have a family member with Alzheimer’s, find out who diagnosed that person and whether or not that person had an imaging or autopsy confirmation the disease. If there was no proof of diagnosis, more questions should be asked about what the underlying cause might have been. However, if there is reasonable certainty that this is a familial or genetic disease, there is testing commercially available that is highly accurate. Talk to your physician and then see a medical geneticist for definitive testing. If it can be determined that Alzheimer’s starts around 10 years before symptoms begin, is there an opportunity to treat it before symptoms starts? The answer, we hope, is yes. In fact, worldwide, there are four studies trying to do that. One I am involved in, the A4 study, accepts individuals between the ages of 65 and 85 in order to perform amyloid PET imaging; if individuals have elevated levels of amyloid, they are eligible for the study. This study is funded by the National Institutes of Health (NIH) with contributions from the Alzheimer’s Association and Lilly Pharmaceuticals. A second trial involves a very small group of people with the autosomal dominate inherited mutations that is ongoing and recruiting individuals who are asymptomatic. An exotic study taking place in the country of Colombia focuses on a very large extended family carrying a genetic mutation that consistently causes Alzheimer’s in family members. These families have teamed up with researchers in the U.S. and Colombia to perform clinical trials using anti-amyloid drugs. The fourth trial, the Tomorrow study, is also seeking a similar approach. This is a very exciting area; we now have the tools to complete a study in people while they are symptomatic; we simply did not have these tools a few years ago. Why is the rate of decline for some people with Alzheimer’s so much faster than others? This is a question that we still can’t answer today as there is a lot of variability from patient to patient. By being able to look at the biology of the disease in living people through imaging and spinal fluid biomarkers, I hope that that answer will eventually be revealed to us. Age makes a difference, and other health issues make a difference, but beyond that, there are some very important features of the disease that determine the rate that people progress at that we still don’t know. Are there promising results for any drugs currently being investigated for treating Alzheimer’s? Yes. To be honest, the results we’ve heard at AAIC aren’t going to translate into available therapies next week or probably even next year, but what I’ve heard regarding several drugs presented is very encouraging. While there is nothing definitive at this point, we are better at conducting the trials, we’ve learned how to enroll the right patients and we do things better overall. It is difficult to know the right dose without testing; sometimes there are failures and sometimes there are successes. It is difficult to know what the side effects will be until we test in humans. This is an arduous process of finding drugs that work for this complicated, variable and heterogeneous disease, but I believe the results presented at AAIC are promising. Though I am hopeful, I don’t want to raise expectations too high. What do you think about the use of ultrasound as a treatment for Alzheimer’s? A recent study with laboratory animals appeared to show promise. This is not going to be suitable for humans for a long time. That said, it’s an exciting idea, and I am open to any idea that might have value. This study was done in rodents; to scale it up and begin to test it in humans is very expensive. There are questions about safety, dosage, number of treatments – and these are the kind of things that need to be done. I hope that the investigators behind this study will have a strong enough scientific rationale and find success in funding to see if this idea works. At this point, it is still very early for that particular approach. Finding a cure is the ultimate goal. The World Dementia Council and other U.S. organizations have set a goal of accomplishing this by 2025. What are your thoughts on this goal? Yogi Berra is quoting as saying: “It’s tough to make predictions, especially about the future,” but I am hopeful that we are continuing to make progress. More importantly, there is more funding that is going towards research. The number of promising projects that we can fund at this point may be very low, but with private and federal funding sources, we hope we can pursue many other avenues. Funding is what is going to increase the likelihood that we will find a cure by 2025. Dr. Knopman earned his M.D. degree from the University of Minnesota (UM) Medical School, where he also completed his neurology residency. This was followed by a fellowship in behavioral neurology at Hennepin County Medical Center and UM. He was a faculty member at the University of Minnesota from 1980 to 2000. Dr. Knopman joined the Department of Neurology at the Mayo Clinic, Rochester, Minnesota, in 2000, where he is currently professor of neurology, Mayo Clinic College of Medicine, a consultant in Neurology at the Mayo Clinic, and a co-investigator in the Mayo Alzheimer’s Disease Research Center. His research and clinical interests have been in dementing illnesses. He is an author on more than 300 articles on various topics in dementia. Dr. Knopman is deputy editor of Neurology, the journal of the American Academy of Neurology (AAN). He was the senior author on the 2001 AAN Practice Parameter on the Diagnosis of Dementia and was co-chair of the National Institute of Aging-Alzheimer’s Association workgroup that drafted the revised criteria for Alzheimer’s disease dementia. Dr. Knopman joined the Alzheimer’s Association Medical and Scientific Advisory Council in 2012. I worked at a chemical manufacturing and now have early onset. Could all the toxins, poison, chemicals have added to a increased risk to my state? I’m a 59 year old woman. My husband's death certificate states cause of death as: Dementia/Alzheimer type. A few in our family claim people do not die from Alzheimer's disease. Which is true? When the cells in the brain being destroyed are the ones controlling the heart or lungs, death occurs. It is now considered a terminal illness. I’m still in the 20s but often I seem to be forgetting things. My heredity has no signs of dementia. How likely am I possible to have dementia? Are you stressed out? Do you have too many things (activities, responsibilities) on your plate? I'm obviously not a doctor, but my gut says "no", but if you're concerned perhaps mention it to your doctor. I forget things when I'm stressed out or have too much going on in a day (of course I'm in my 50s, but just sayin'). Try not to worry about it. Every day my mother in law sees and talks to children. We have tried to work with her but lately she says the kids are making her nervous and take them away. Lately she has been getting on our nerves about it and we have told her different stories that they Re not there or the parents have picked them up. Should we try to tell her they are not real or what? Please help us! I have also wondered what to do about this! I just get the feeling that talk is so easy and that one might get a different degree of diagnoses of mild cognitive impairment–what I think of as a second-cousin to what the neurologists calls Alzheimer's dementia. I just wonder if the pharmaceutical giants and the medical professionals are truly aligned in their pursuit of cures that pertain to the brain and its afflictions. My Father had Alzheimer's. How likely am I to get this disease??? Diana – I too have the disease. There is evidence that it can be hereditary in some events. There is a blood test that identifies a marker for the hereditary type Alzheimer's disease. You should talk to your doctor or perhaps even better, by a neurologist. I agree 100% with what you said Richard.. Why is there this sudden spike in dementia? Something, more than people living longer, is going on. My grandmother lived to be 96 and was sharp as a pin till the end. Both of my parents, in their 80's, have the disease and have been moved to a home here in the states. I have watched a video on the Hogeway and wish so much there were facilities like that here. My parents are both very unhappy about where they are living and confused as to why they can't go home. My sisters made the decision to move them to this particular home..I was out voted. Now my husband is showing some early signs of dementia.. Something is not right!!! Something is going on, whether it's the food, our environment, flu vaccines, prescriptions drugs, geo engineering or something else.. This is not the normal aging process for human beings. This is one of the hardest things I've ever experienced, watching my loved ones go through this. I have had Alzheimer's for three Years now and on meds for it. I can no longer drive and not looking toward the future at all. is a terrible thing to have brought onto one. I hope that I continue the meds and that they find new ones which may be a cure for this disease. Hi Dave. Thank you for your comment. You can follow research news at alz.org/research. If you would like to speak to someone at our 24/7 helpline, you can call 800.272.3900. My mother has dementia/Alzheimer's, during menses I notice I forget words, common words. My mother is 87 and I am 53. In the past I thought it was just hormones, and still do feels that it is, however I wonder if due to my mother's historectomy in her late thirties/ early forties and lack of hormone replacement, if this assisted on her dementia. I guess what I am saying is, is it possible that Alzheimer's is related to hormones? My son has Down Syndrome and at age 36 seems to be getting Alzheimer"s. Any info? Hello Barbara. You can find more information at this link: http://www.alz.org/dementia/down-syndrome-alzheim… or by searching "down syndrome" on alz.org. You should also consult with your physician. If you need to speak to someone, you can also call our 24/7 helpline at 800.272.3900. Hello Robin. Please call 800.272.3900 to reach our 24/7 helpline. Someone can help and put you in contact with local resources. Robin, I was my husband's fulltime caregiver, from Jan-Mar, this year. He was diagnosed with Vascular Dementia and Vascular Atrophy in his legs. His decline was breathtakingly rapid. After a 12 day stay in ICU, in early Apr., he had to be in a nursing home. He was past the point of my ability to care for him. As much as I hate the idea of being separated from him, (he doesn't like it either. 52 year old habits die hard.) I find my job, now, is to make sure he is well tended and comfortable and LOVED. I visit him every day, and sometimes twice a day, and I'm like a mama bear when it comes to keeping an eye on his care and the conditions around him. (like a clean bed, keeping water constantly available since he's prone to dehydration, etc, etc..) I ask questions of the nursing staff AND the attending doctor. I communicate with the kitchen to make sure he doesn't get foods that he shouldn't have. And I hold his hand, rub his back, stroke his head when he's going to sleep, etc.. He doesn't remember who I am, at times, but he knows that I love him. It is very important to him and important for his comfort. He knows he isn't alone in his alone-ness. Good luck to you, Robin. And, to your sister. Oh, and I talk to Our Lord, God, a LOT!!! It helps. (((HUGS))) to you. You are a wonderful sister. I am 76 years old and was diagnosed with early on set of Alz about 15 months ago. I was devastated . I have totally changed my eating habits and cut out all refined sugar. I am constantly doing research and I have lost weight to 119 lbs I am 5feet tall and I walk everyday. I forget names sometimes or get a little confused but on the whole I can live by myself and take care of myself and my dog. I am constantly talking to GOD as He is in control. I try to stay in a good mood but I can get very down at times. No one in my family had ALZ. Please call 800.272.3900 if you would like to speak to someone on our 24/7 helpline or to find local resources. Over the past 30 years that I was taking the recommended calcium supplement, I developed a rapid heart beat condition. I read in a Consumer Reports on Health issue in October 2012, that taking a calcium pill that exceeds what can be used, will accumulate in the arteries. Since I have been off the calcium supplement my circulation has improved. I recently read that 75% of the Alzheimer's patients are women. It occurred to me that since were told to take the calcium meds to prevent Osteoporosis, that more women would also have slower circulation to their brain. This may no apply to everyone, but it may account for the reason so many women are affected. I am undergoing neurological testing by a neuropsychologist next week. I have been tested by him before and was diagnosed then with a Mild Cognitive Disorder. My symptoms have significantly worsened over the past 6 months. Will testing alone determine if my condition is caused by dementia or specifically Alzheimer's? Are PET Scans an important part of getting a correct diagnosis. I have had several mini stroke and in the past had a closed head injury. Will specific parts of the testing be able to tease out contributing factors related to symptoms (short-term memory loss, difficulty attending, completing tasks, difficulty using good judgment, problems managing money, etc.? if a sibling had Downs's syndrome and had very rapidly progressing Alzheimer's. is this a totally different type than what is linked to family linked Alzheimer's? I was recently given a PET scan at the VA Medical Center in Charleston, SC, after complaints of short term memory loss, vocabulary problems, etc. I was told that the PET scan revealed that I was positive for amyloid protein deposits, and that due to three siblings developing AD to one degree or another (one sister recently passed away from AD) I was at HIGH RISK for development of AD. That, unfortunately is all that I was told. At this stage in my life (I am 79) and in relatively good health, is there anything I can or should do to slow the eventual development of AD? An article in the March 2016 issue of Scientific American (Brain Drain) on page 45, suggests that "In the healthy brain, the glymphatic (a term coined in the article) system clears proteins associated with Alzheimer's, Parkinson's and other neurological diseases." The article further relates the function of sleep to the glymphatic system, "Experiments that we conducted in mice showed that during sleep, the glymphatic system did indeed remove beta-amyloid from the brain with remarkable efficiency: its clearance rate more than doubled with sleep." __I'm curious to know if any of the researchers in Alzheimer's have looked into the possibility that this article suggests, a potentially new approach to the treatment of AD. I was recently given a PET scan at the VA Medical Center in Charleston, SC, after complaints of short term memory loss, vocabulary problems, etc. The PET scan was positive for amyloid proteins, and I was told that I was a "High Risk" for AD, particularly since one older sister died from AD, and two other older sisters are in various stages of AD. Unfortunately, that was all I was told – I'm at "High Risk". My question now is what can I do to hopefully delay the onset of AD, if there is anything I can do? I was recently diagnosed with early Alzheimer's Disease.I may be in "denying",but the only signs/symptoms I may be aware is that a very good friend told me: " You know that on some of our meetings you repeat things frequently". I was not aware of it but recalled a few months ago a cousin of mine told me the same and I felt bad with her.Recently(a month ago), I had Brain scans,MRI,psychological testing,etc and was diagnosed with early AD's disease and begun on Rx with Aricept.Iam aware that there is no specific therapy available.Iam making all my efforts to accept the Dx, although is not easy moreover when I have being a fruitful and honestly a competitive physician that trained in one of the best USA Medical Schools.Any suggestions for me? Thanks. Does forgetfulness necessarily suggest the possibility of Dementia? My wife has been diagnosed with vascular dementia after her last stroke. Most days she sleeps to 18.to 20 hours per day. I have talked with.doctors and other professionals, and they have not heard of this. We are in Assisted Living and I try to keep her involved in activities, but When.she is free she goes to her recliner and sleeps until the next meal. After she eats it’s back to her recliner and sleep. She sleeps after supper until bedtime when she goes to bed and sleeps the night through. Does anyone else deal with This? Tips to handle will be appreciated. We recommend speaking to your doctor. There are several kinds of dementia obviously, and it is sometimes difficult to determine which is which. Perhaps PET scans will have a greater role in the near future. Better treatments are definitely needed. Maybe the immune therapies will show promise this fall.